Hard-Knock Life | Arts and Culture | Style Weekly - Richmond, VA local news, arts, and events. The movie opens with a color-saturated portrait of Sean Penn in bed, skinny and naked, hair mussed and smoking forcefully. The establishing shot offers no placement and, believe it or not, comes with no introductory paragraph. The rest of “21 Grams” is just as unconventional. In “Perros,” I¤arritu shook viewers with a terrifying and confusing opening that played the ending as the beginning. In “Grams,” just about every scene is out of sequence; the movie is a jumble of past, present and future purposefully arranged to mislead, with every scene offering a new insight while nullifying what you thought came before. “Grams” is not about drugs, which seems to be the common assumption in light of its title. Drugs and alcohol are consumed in large quantities, but they are simply self-medication for the three characters bound by the pain at the story’s center. Naomi Watts is Cristina, a young woman who’s lost her husband and two young daughters in a horrific accident. Penn is Paul, a man in desperate need of a heart transplant. 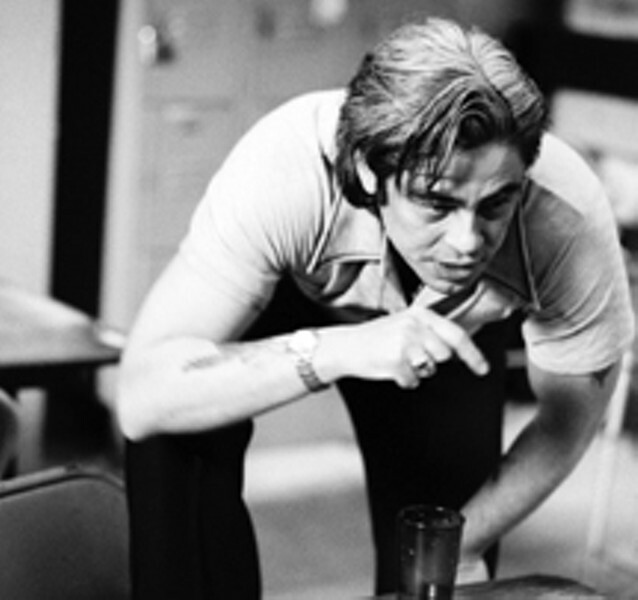 Benicio Del Toro gets the juiciest role (and an incredibly moving one) as a working-class, born-again Christian, the hapless figure who brings all three together. His Jack is a nobody puffing himself up as a somebody, an ex-con who’s found Jesus. He proclaims to a street punk he’s trying to save that the Lord gave him his new, fully loaded sports truck. And Jack has repaid the Lord with lots of free advertising, from the gold cross in his ear to the “Jesus Saves” sign airbrushed on the tailgate of his Dodge. Jack’s covered in Christ, down to the tats. We gather, however, that this is a recent development after he smacks his little boy upside the head at the dinner table, then declares, “We do not hit in this house.” Nice. “Grams” is rich with such biting observations. They are the dabs of super glue that hold this fractured tale together. Early on, Penn’s Paul sits, attached at the nose to an oxygen tank, in a living room. Wheezing, he wheels the contraption to a bathroom, turns it off, cracks a window and, sure enough, lights up a smoke. It’s the kind of hard-headed display available at the designated smoking areas of hospitals across the country. Still, it’s hard to believe that this kind of movie is planned for widespread distribution. One can overlook the nonlinear structure. Maybe I¤arritu slyly promised his producers another “Memento.” Yet “Grams” never stoops to gimmickry. There are no melodramatic “E.R.” style hospital scenes dealing with Penn’s illness. Del Toro, consumed by guilt, never overcomes the odds; he simply gives up. The stricken mother doesn’t find strength in her loss. She only lives for revenge. “I’m an amputee!” Watts wails, engulfed in grief and rage.